The DA leader is accusing the EFF of wanting to protect corruption after they tabled a no confidence motion against Msimanga. Democratic Alliance leader Mmusi Maimane has noted the no confidence plot by the Economic Freedom Fighters. According to reports, the DA leader is convinced the EFF’s decision is poisoned with intent to protect corruption. 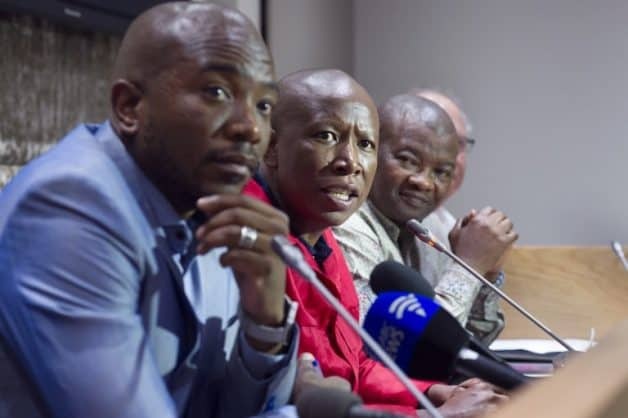 The EFF have made it clear they do not support the DA’s decision in removing city manager Moeketsi Mosola, and that they no longer supported Tshwane mayor Solly Msimanga. The Tshwane mayor’s seat is under threat as both the EFF and the ANC move in to file no confidence motions against Msimanga. Malema believes Msimanga should be held equally accountable along with the city for tender irregularities at the metro. Allegations of the irregular awarding of a contract to consultant company GladAfrica are leveled against Mosola, who was given seven days to provide reasons why he should not be suspended pending an independent investigation into the allegations.